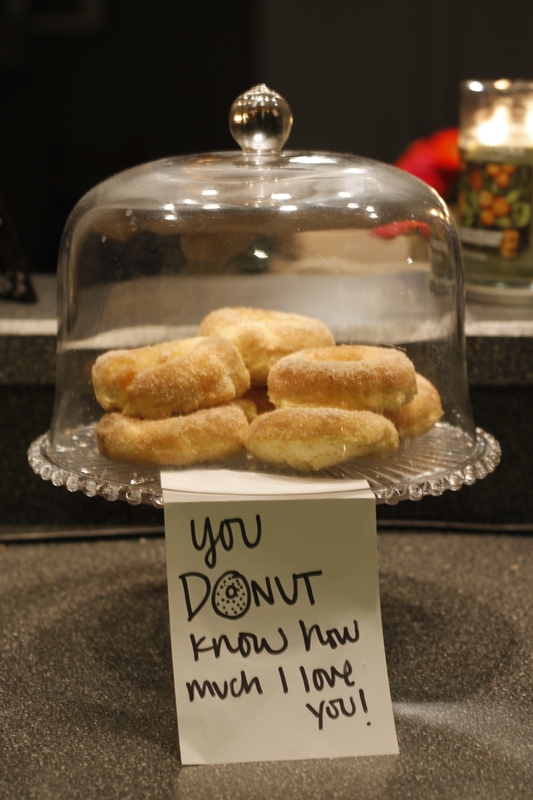 valentines day breakfast – donuts! Thinking of doing something simple for you special someone? Why not make them (or buy them!) donuts? Try these cinnamon sugar baked donuts or these double chocolate glazed baked donuts! Do you have any other sweet plans for Valentines? Categories: Good Eats | Tags: donuts, valentines day | Permalink. this is adorable ❤ my fella does not like baked goods (i know, i don't understand either) so more donuts for me! Valentines definitely needs some sweets!